Trains and transport. If there’s one thing (particularly at the moment) that’s always stressful when you need to be somewhere on time, it’s driving, transporting and negotiating maps and traffic. Going off on a small tangent (already) it used to be even harder before sat navs and Google maps………I can remember printing off maps and directions and sticking them to the car dashboard to negotiate the logisics of getting to some wedding venues years ago! There’s not much that actually stresses me out about photographing weddings now apart from the logistics of getting there on time! Now, don’t get me wrong, to a certain extent a wedding that has the preps in one venue, the ceremony at another and the reception somewhere else does have it’s advantages. It feels like a bit more of an adventure, photographically the changes of scene are nice and the whole day has a bit more of a feeling of being an event. But, inevitably guests do get lost between locations, pop to the shops, go to the pub, get distracted or simply stuck in traffic. 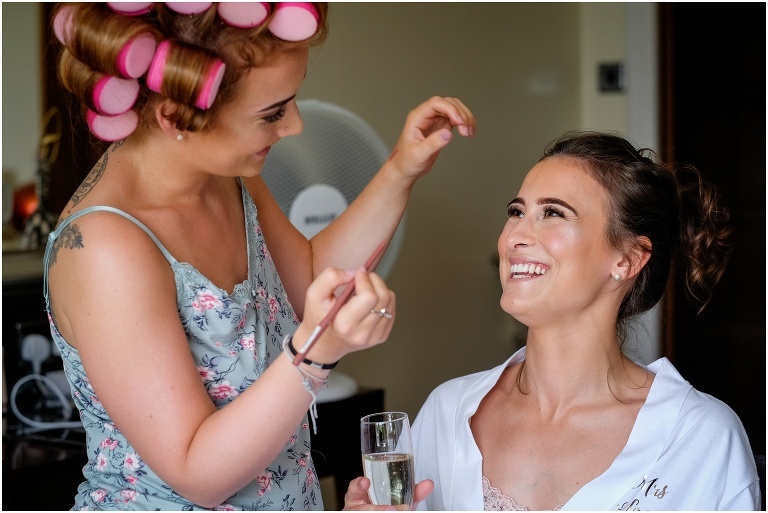 Anyway, there were no such problems at Becca and Carl’s wedding day at Sturmer Hall as the whole of the day was in the one venue. There is a church in the grounds of the Hall, a beautiful marquee by a lake for the evening reception and preparations take place in the historic Hall itself. As ever I have included just a few of my favourite images below with a bit of chatty commentary along the way! 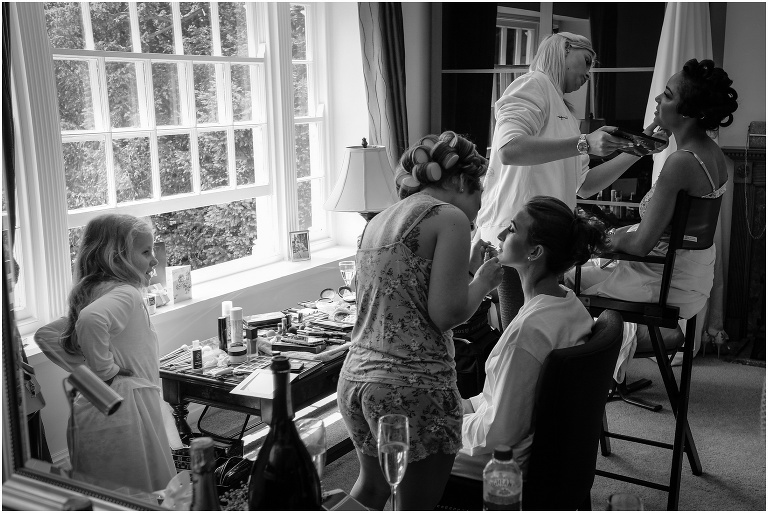 Below: Rebecca and one of her bridesmaids having makeup done. I like the light and the shape and pattern to this but it’s really lovely how the little flowergirl is is looking on at proceedings from the side! Below: It’s always special when one of your bridesmaids is your makeup artist as well. A lovely spontaneous moment between them here. 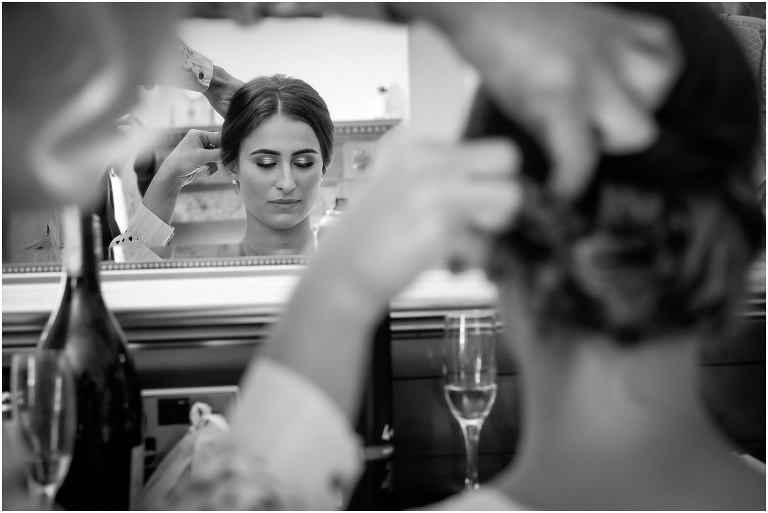 Below: A moment of calm………..
Below: I always try to capture the first look moment between the bride and groom….a great expression here….closely followed by……..
Below: I love recording these “unnoticed” snippets. 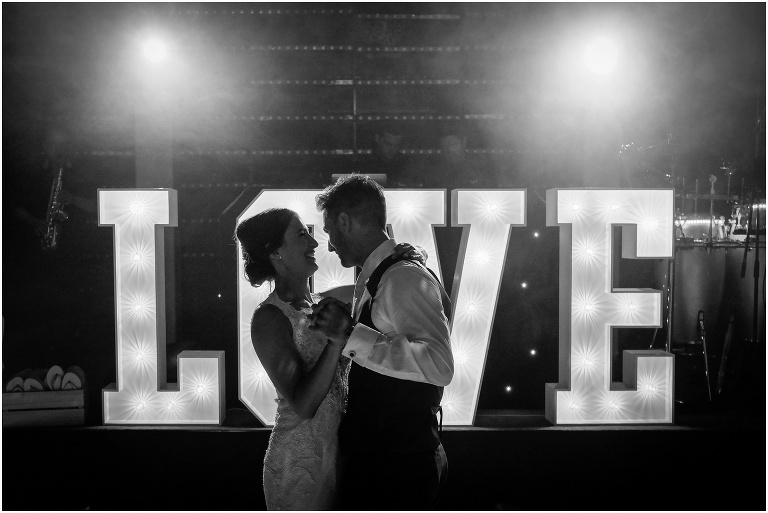 This was just a momentary private moment in the hubbub of the drinks reception…..
Below: So many grooms start their speech with “my wife and I”…..usually followed by rapturous applause. I love Becca’s natural reaction to this moment…. Below: Lot’s of couples are doing the wedding version of the Mr and Mrs quiz at the moment!